Keyword rich domain names play a crucial role in success of any website. When you select a domain you definitely want it to be exclusive and easy to recall, but once it is search engine friendly it becomes easier for others to find you on the web. Though there are several factors to consider that can lead to success of your website, the one that we will be discussing today is the importance of having a keyword rich domain. 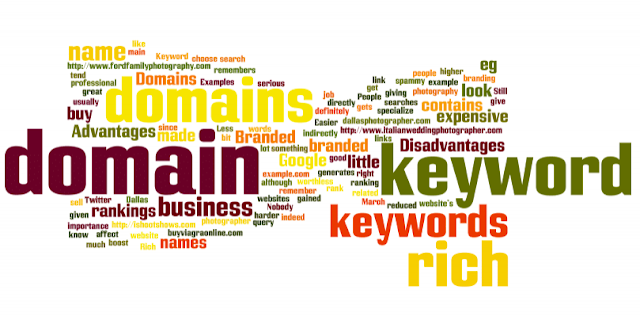 Keyword rich domain names are those names that are relevant to your business. Here are certain benefits of registering a keyword rich domain name. If you plan to target your local market, then you will need your domain name to reflect this fact. Your local users will find it easy to locate you on your geographical identifier on search engines. If you have a keyword rich domain you will find it easier to insert a number of modifiers that may be useful and relevant to your website. The keywords used in your domain name should appeal to the local targeted market, which can eventually help in generating good traffic. Keyword rich domains are very beneficial for pay for click ads and banner ads. Those who see an ad with a unique domain name that contains relevant terms are more prone to click on those ads and the link on them. Keywords have always been a standard part of search engine optimization. It indicates to a potential client that your website is related to the particular niche that they looking for. Domain Registration is compulsory and your domain name is a very important factor that directs quality traffic to your websites. You should not take for granted that keyword rich domains can just provide you short cuts to achieve high rankings on the search engines. A domain check on search engines can provide you with a variety of keyword rich domains. Domain names that are rich in keywords are a part of an overall strategy, for optimization offsite and onsite. Apart from keyword rich domain names there are domain names that have earned fame as a brand such as YouTube, Tweeter and Facebook. They have innumerable loyal visitors and are considered to be community-based-websites. Businesses who wish to compete should always try to use keyword rich domain names. Cloud Hosting: All You Need to Know! What Is Clustered Web Hosting? Is managed hosting right for my website?